Acanthophora Spicifera is a gorgeous looking macro algae which belong to the red algae species although its colour ranges between brown/reddish/purple depending on what light is used. This species has irregular stiff uprights, which are quite fine and it can attach itself to rocks, shells, etc. 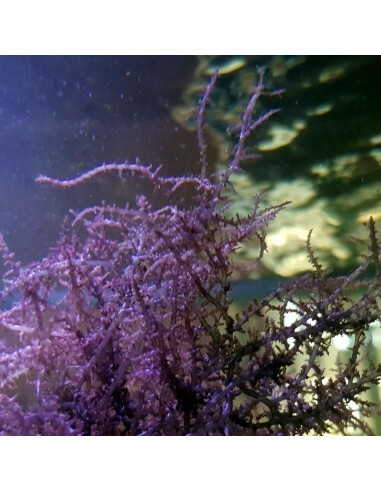 A great algae choice for the tank display and Seahorse aquariums as it will provide natural holdfasts. By buying this product you can collect up to 26 loyalty points. Your cart will total 26 points that can be converted into a voucher of £ 0.52. This colour of the Acanthophora Spicifera algae will vary depending on the light its get. It will become darker when it gets less light, and brighter when it gets more light ( sometimes it might change to a bright grey in this case). Acanthophora Spicifera gets sometimes but not often eaten by herbivorous fishes, therefore we recommended to keep it in a safe place until you like to offer it as additional food to your fishes. The commonly called Fire Fern algae will attach itself, but it can be easily glued ( we use thick cyanoacrylate super glue ) to rock where you like to have it, or just place it in between your rockwork and it will attach itself after a few weeks. This is a very rare available macro algae species, and we are happy to offer it to you. Fantastic delicate looking algae for the display tank. It looks very nice in my tank. Hope it will grow well. Nice algae plants, just got them today. I order several and they added extra more. Thanks! This is a really nice algae, and a very unusual colour. Definitely a bit different to anything else in your tank. I would highly recommend it. 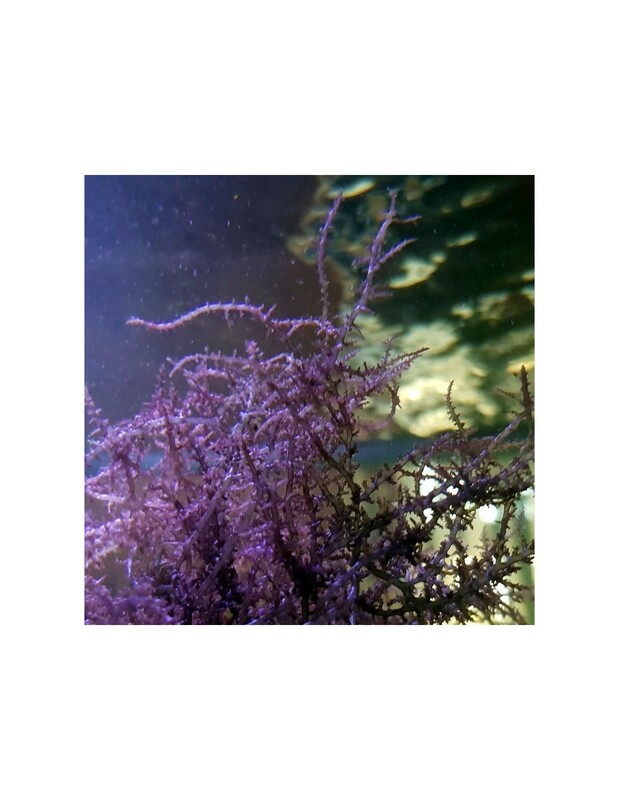 You were one of the first who received this new available macroalgae species, and we were looking forward to hear what you think about this algae.\r\nMany thanks for your complimentary review Chris.